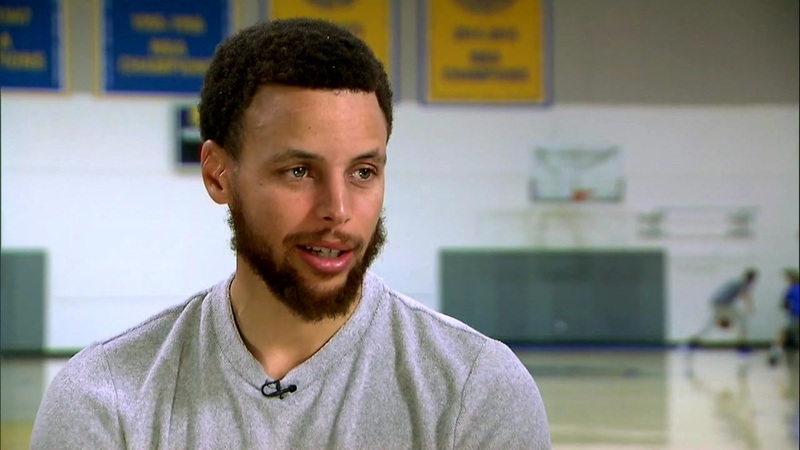 OAKLAND, Calif. (KGO) -- Golden State Warriors star Stephen Curry went one-on-one with ABC News in an exclusive interview about his wife Ayesha's comments during the NBA Finals in 2016. Golden State Warriors star Steph Curry went one-on-one with ABC news in an exclusive interview about a conversation he had with former President Barack Obama. Ayesha called the NBA "rigged" on Twitter after her husband was ejected from the Warrior's game 6 loss to Cleveland last year. She apologized saying she "didn't think about the ramifications," but her husband saying now, he encourages her to be outspoken. "I encourage her to do her thing, to -- to always speak her mind. Like, never -- never, you know, muffle any of that," Curry told ABC News' T.J. Holmes in an interview on "Good Morning America." Adding that she should, "Never, never not speak her mind in any situation." You can watch his entire interview Friday morning on Good Morning America on ABC7 beginning at 7 a.m.
We want to see your Warriors fan photos and videos! Share them on Twitter, Instagram, or Facebook by tagging them #DubsOn7 and we may show them online or on TV.